I've had a wonderful week visiting gardens in Hereford and Kent, but this one made a real impression when I saw the moongate on arrival. This was just a fantastic start and once I was through the circular gate (which has been here since the 19th century) I was amazed by what lay in front of me - plants from all over the planet, divided into geographical areas. 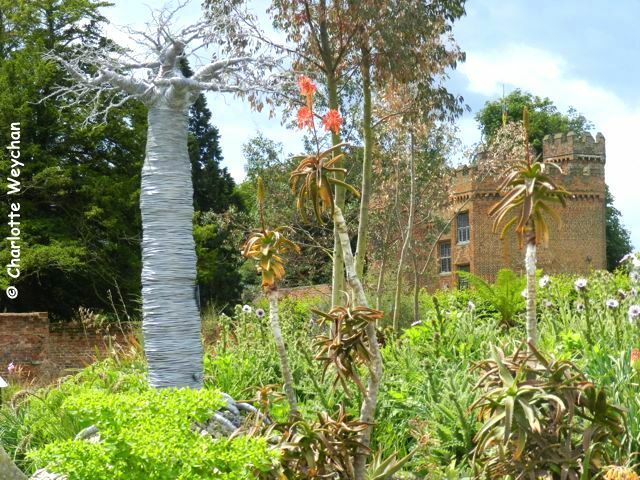 This is The World Garden at Lullingstone Castle in Kent, and it's quite simply amazing! Created by Tom Hart-Dyke, plant hunter extraordinaire, and the man who was kidnapped on an orchid-hunting trip in Central America in 2000. He spent more than nine months in captivity before being released in time for Christmas. But since returning home he has created this visionary international landscape within the walled garden of his parents' castle in Kent. Of course, it probably helps if you have some spare acreage within the grounds of a castle, but what this young man has created here is a tribute to his gardening talent. He first conceived the idea while being held hostage in South America. 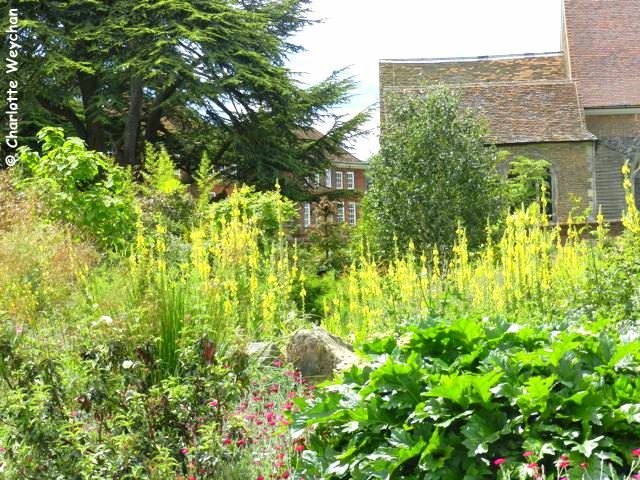 Part of the charm of the garden is the views of the castle and church outside the walls. But within you will find themed areas including Europe, Asia, Australia, the Americas, Africa and The Canaries. Each area is planted with cultivars from the particular region and the overall effect is quite striking. 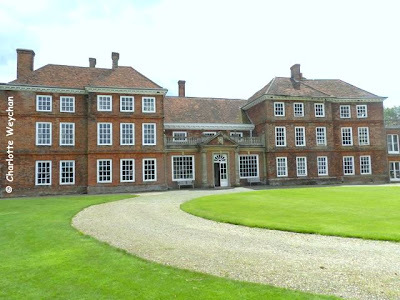 You have a plant museum contained within the 500-year old walls of this two-acre plot. Tom plans to have 10,000 different plants here when the garden is complete. Particularly impressive is the way in which the different regions are contoured to provide representations of the different mountain ranges around the world, like the Alps and Himalayas. 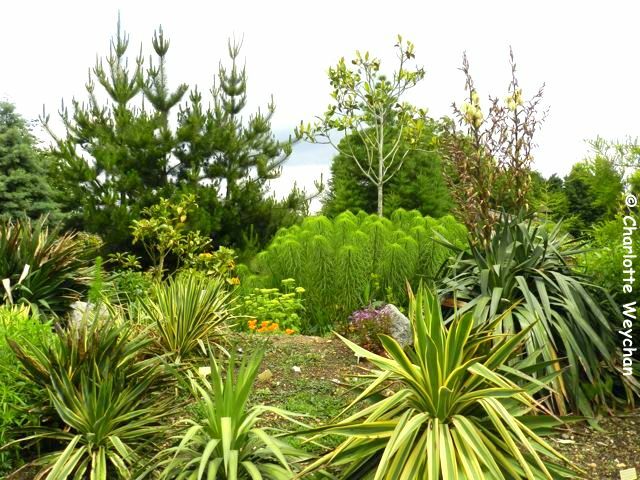 And it's not just shrubs that represent the different continents, but also trees, so you'll find Chusan palms in the China section of the garden and eucalyptus in Australia. The National Collection of Eucalypts is held here, so do go and see these magnificent trees for yourself. Most impressive of all is that each winter some 2,000 plants are lifted from the walled garden to protect them from the English winter, and moved to glasshouses and polytunnels elsewhere on on the estate - certainly no mean feat when you think of the winter we had last year in England. Whatever you do, don't miss the Cloud Garden here, which houses plants too sensitive to live outside (and certainly unable to survive an English winter!) - located next to the main garden and filled with interesting species that you're unlikely to see anywhere else in the UK. The World Garden is open Friday through Sunday until the end of October, from 12.00-17.00. 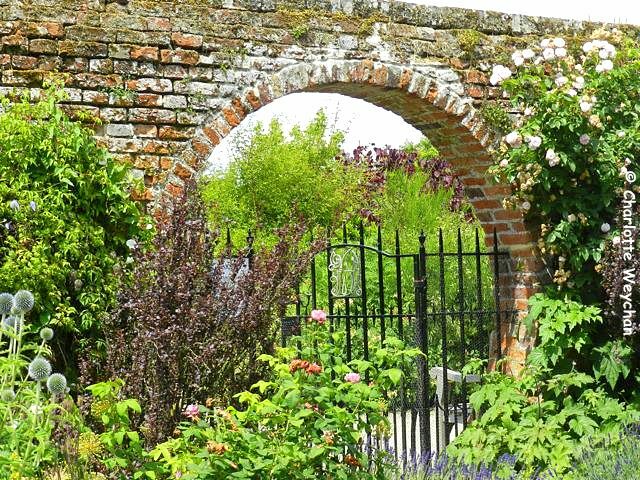 Well worth putting on your wishlist, and you might want to combine it with Titsey Place if you want to see a conventional working walled garden. What a divine garden! I love the concept of world garden with all that different species. your blog is amazing I cant wait until your next post. kisses from my winter vegetable garden. Thanks for this Charlotte. A reminder of how much I want to go to Lullingstone. I read Tom's book, The Cloud Garden, and have wanted to visit his World Garden ever since. There was a brilliant TV series that covered much of the setting up of the garden. Catch it if you can. Wow - as I was reading about his capture, my mind was thinking what a terrible impact it would have on him. Then I continued reading that after release, he is inspired to create a fantastic garden! Bravo! An amazing garden, and obviously an amazing man. Thanks for posting those gorgeous photos. I normally agree with your reviews but I found this incredibly drab!! although I admit it was april four years ago so I assume its matured.